Long before governments issued regulations protecting the environment and many years before the introduction of ISO 14000, the people at Horizon were demonstrating a profound respect for the environment through a series of practical and innovative activities. Our motive behind these activities was as straightforward then as it is today, it is the right thing to do. Eliminating the use of tropical woods listed in CITES, (Convention on International Trade in Endangered Species) as well as maximizing the use of wood products from managed forests. All foam and polyurethane components are manufactured using Chlorofluorocarbon (CFC) free blowing agents. 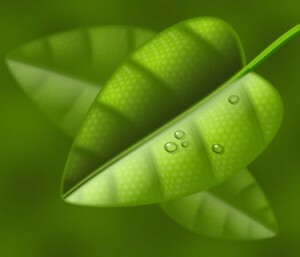 Bio-based foams are being introduced to replace fossil fuel (oil) based product on an on-going basis. Adhesives used in the manufacturing of HORIZON Seating are water based, having a reduced environmental impact and are designed to reduce or eliminate “off-gassing” in the finished product, contributing to a healthier work environment for the end user. Maximizing the use of powder coat paint finish technology on metal parts and components used in our products. Horizon has formed partnerships with reliable source suppliers who have spent many years on award winning research, development and experimentation in resilient foam for use in seating products. The result is a change in the composition of resilient foam (cushions) to create an innovative new foam product. This new foam compound contains natural renewable resources in place of petrochemical based polyols and ultimately reduces greenhouse gas emissions. The new “Bio-renewable foam” is manufactured from natural seed-based oils such as soybean and others which are rapidly renewable and will not adversely affect the food chain. 15-20% of the end product is therefore Bio based. Bio-renewable foam performs equally as well as traditional foam, is CFC free, has a low odour emission, superior UV stability, stable consistency and density and the raw material is renewable and plentiful. As an added benefit, the energy consumption to manufacture foam from Bio based materials is significantly less than what is required for traditional petrochemical based processes. Horizon has been on the leading edge of recycled and recyclable fabrics for many years now having a broad offering of budget and midrange upholstery fabrics. HORIZON was among the first office seating manufacturers to offer a mid range line-up of in stock, open line fabrics made from 100% recycled materials which are also 100% recyclable at the end of their life span. These fabrics offer an earth friendly alternative without compromising quality, durability, comfort, or beauty! Horizon Furniture is among the first office product manufacturers to offer upholstery options manufactured using bamboo fibre. Long used as a construction material and as a source for food, bamboo is gaining recognition in the home and contract furnishings market due to its properties as a soft, durable, breathable fibre. There are over 1000 species of bamboo on the planet with some species capable of growing up to one metre per day. Its adaptability to different climates and precipitation levels, coupled with its 3-5 year harvesting period – significantly shorter than most softwoods- make it one of the world’s most versatile, rapidly renewable resources. Why are bamboo fabrics a better choice over other textiles? Bamboo textiles are much softer than the softest cotton, bamboo fabrics have a natural sheen to the surface and they really do feel similar to silk textiles or cashmere fabrics. Today any fabric that claims to be anti-microbial has most definitely had a chemical treatment applied to the textile or into the fiber itself. Bamboo fiber based fabrics are naturally anti-microbial and require no harmful chemicals. Bamboo textiles contain an agent, called ‘bamboo kunh’, which naturally prevents bacteria from cultivating. Bamboo textile fibers have received much praise both in the fashion industry and in the mill houses as well. The fibers blend incredibly well with today’s popular textiles like spandex, lycra and cotton. Bamboo not only feels cooler in the summer but it is significantly warmer in the winter. Bamboo is more comfortable and looks better but at the same time warms or cools our body temperature better than any cotton based textile. Why are bamboo textiles better for the earth? Bamboo fabrics are completely biodegradable. Bamboo textiles are made from Moso bamboo, not the type of bamboo that giant pandas eat. Bamboo generates more oxygen than equivalent stands of trees – if we planted more bamboo more photosynthesis would help to cut the globally rising levels of carbon dioxide. Bamboo trees can help us replenish the eco system! Natural Bamboo has become one of the world’s most prolific and fastest-growing plants, and is able to reach maturity in about four years, compared to the typical 25 to 70 years for commercial tree species in North America. 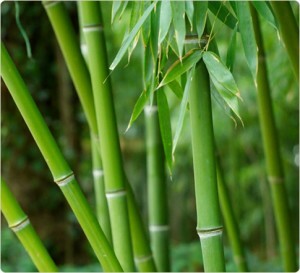 Bamboo grows and thrives without fertilizers, pesticides or any chemical assistance. Bamboo is nature’s most sustainable resource. It is grown without pesticides or chemicals, is 100% biodegradable, and is naturally regenerative. Bamboo is actually a tropical grass with an extensive root system that sends out an average of four to six new shoots per year, naturally replenishing itself and growing to heights of 60 feet or more. Some bamboo species grow up to 4 feet per day and can be harvested every 3 to 5 years. Bamboo trees are planted and grown on family-owned farms that have been in agricultural use for generations. None of the fiber comes from tropical forests. Bamboo is the fastest growing woody plant in the world growing one third faster than the fastest tree. Some species grow up to a meter per day – you can almost watch it grow! The plant reaches its maximum height in 3 months and reaches maturity in around 3 years. Most softwood trees take 10-20 years to reach maturity. After each harvest, bamboo re-grows almost immediately so it is a completely sustainable resource. Horizon endeavors only to use plywood components which are certified to have come from sustainable, managed forests. This means that the logs used are either from fully mature trees or cut from FSC – Forest Stewardship Council- certified plantations. Adhesives used in the production of curved plywood components are well within the E1 standard for emissions, which is the lowest level available in the market today. Along with the majority of responsible manufacturers, Horizon has also eliminated the use of tropical woods listed in CITES, (Convention on International Trade in Endangered Species). Horizon Furniture has worked diligently for many years on waste reduction programs. We are constantly looking for new ways to reduce, reuse and recycle waste. Every year we adopt new processes that will divert more waste away from landfills and toward useful applications. Our track record is impressive … Horizon currently recycles close to 95% of the waste materials it generates each year. This means that less than 5% of the total waste generated by Horizon ends up in landfill! And we are committed to reducing that amount by at least another 5% in the upcoming year. But there’s still work to be done … In addition to waste diversion and reduction plans already in place, we are also developing new uses for our fabric scraps. We won’t rest until we are recycling 100% of our waste. It is possible. All companies use shipping cartons and various kinds of packaging to protect their products during transport and storage … and Horizon is no exception. At Horizon, however, we are committed to using only recycled cardboard for our shipping cartons. To be classified as “recycled,” according to Environment Canada’s Environmental Choice program, a product must contain at least 50 % recycled material. Did we meet the government’s guidelines? Once again, we exceeded them! Horizon’s shipping cartons contain at least 80% recycled material. Horizon’s shipping cartons are made of recycled paper. They in turn can be recycled. Horizon allows its dealers to return used cartons. Cartons are sorted, inspected and re-labled for re-use on future orders. Our cartons are imprinted with water-based inks, which do not use harmful solvents, or contain heavy metal pigment. These inks are easier to break down for recycling. Horizon will ship products assembled and poly bagged or blanket-wrapped, eliminating the need for cartoning altogether, whenever shipping distance is feasible for this transportation method. By using different-sized cartons, we are able to reduce the amount of packaging needed. Our packers choose the smallest box possible for each product. Horizon is shipping more and more chairs “knocked down”. These chairs require a small amount of assembly but save 50-75% of carton space as well as transportation costs over fully assembled products. Reduced shipment sizes mean less truck loads are required to move goods, thereby further reducing our carbon footprint.